Auditions for the 2019 Season will be on November 17th & 18th. See the guard page for more details! Our 36th annual DCI show will be on August 5th 2019. Ticket information will be coming soon! 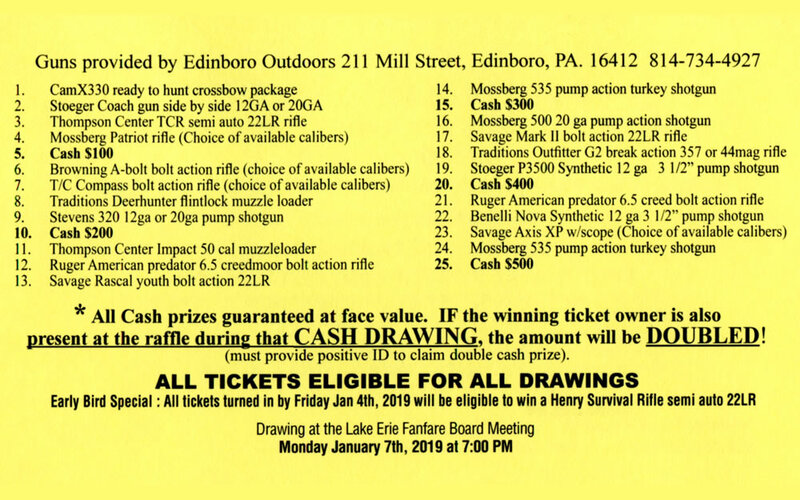 Once just a fundraiser, our Gun Raffle has turned into a must-attend event! 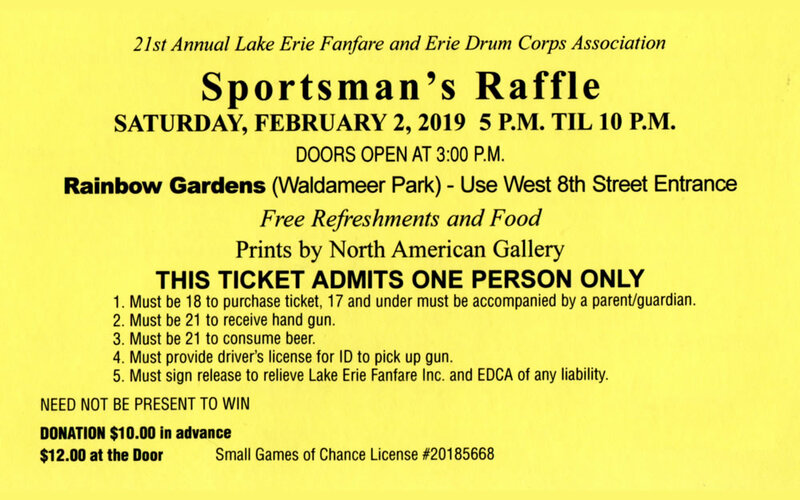 Join us on Sat, Feb 2, 2019. Tickets are available now! 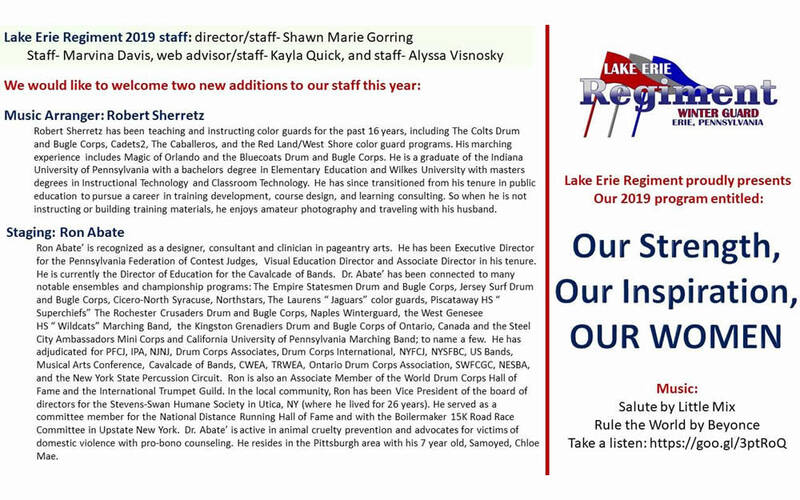 Lake Erie Regiment is proudly supported by many of its alumni, family, and friends. To help support us, please participate in any of our fundraisers or click on the button below to donate through PayPal.